Keys Snow was born and raised up in Mookgophogng in South Africa, an environment that helped him develop a natural sense for the elegant & graceful. Having played piano from a young age at church, he grew up to adopt numerous styles some of include jazz, fusion and contemporary. He was immediately attracted to the deep, soulful and afro qualities of house music and found his genre in the world’s dance-lounges – places like Ayana’s Rock Bar, Kalawa-Jazzmee Lounge and House 22, where dancing and style seemed to co-exist effortlessly. Moving to Pretoria he quickly gained acclaim for his sophisticated DJ sets that blend different styles in a seamless flow creating variety for his audience. Whether it is djing in clubs, outdoor venues or restaurants – Or either production in studio, Snow’ music always stands out as unique. He has participated in a number of DJ nights, spinning alongside BlackCoffee, Vinny da Vinci, Martin Eats, Culoe de Song, Sisco, GregNate, and for the likes of Rock the girls, Diamond Nights, Our House, Martin East SA Tour and numerous events. In Studio, Snow has worked with some of the best musicians like Jared Douglas, Nia, Zano, Mpho Maboi, and Kay to name a few – Producers such as Blackcoffee, Martin East, Sisco, Rowick Deep and GregNate. 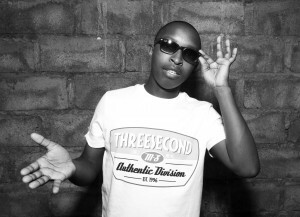 Snow has released numerous singles, remixes and features with the likes of Pakjones, Malehloka, Tumelo and many other songs that have earned him kudos from international heavyweights like Quentin Harris, Blackcoffee, Martin East, Glen Lewis, Cpen, and have feature on numerous projects including Travelled Far together with Martin East, Lutho and Happiness with GregNate. Snow’s style is unique. A double threat as he not only Djs but he also plays Keys. Respected as a performer in his homeland and loved overseas as a Producer and Remixer – Snow has been touted as the one to watch on the South African Dance scene.